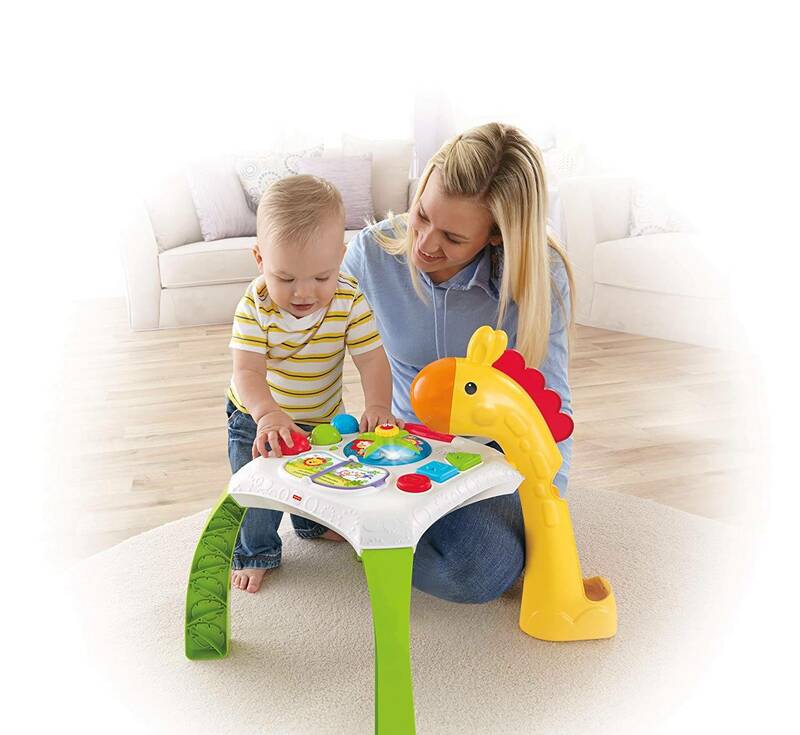 Two "grow-with-me" ways for baby to play! 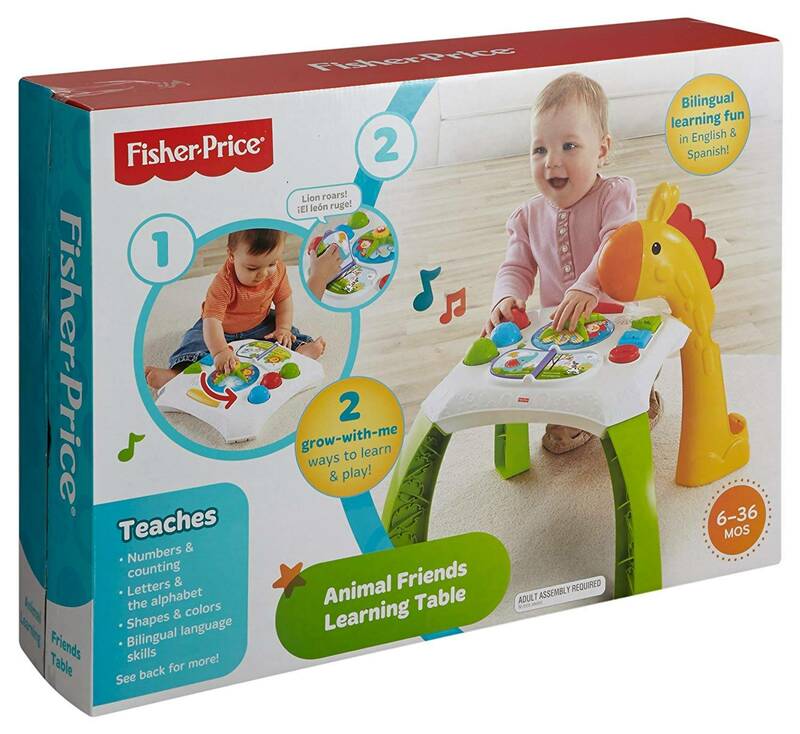 Sitting babies can discover lights, sounds, music and hands-on activities on the table-top-with fun, bilingual sing-along songs and encouraging phrases in English and Spanish. 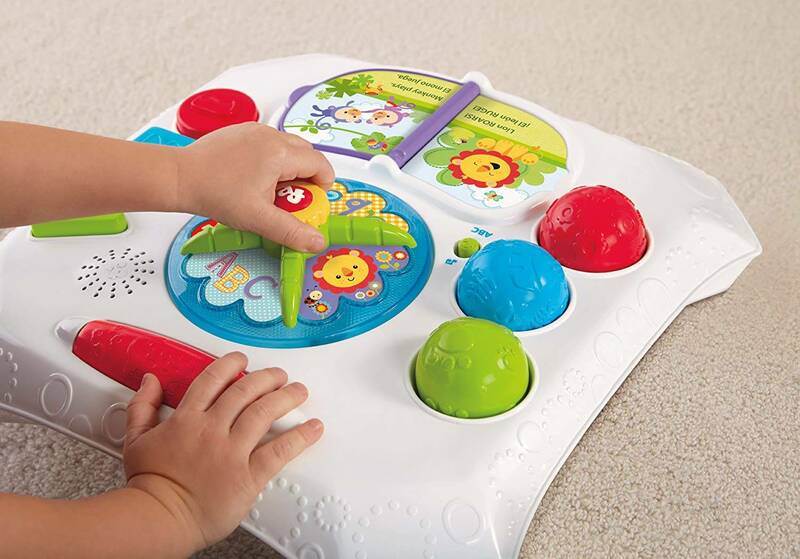 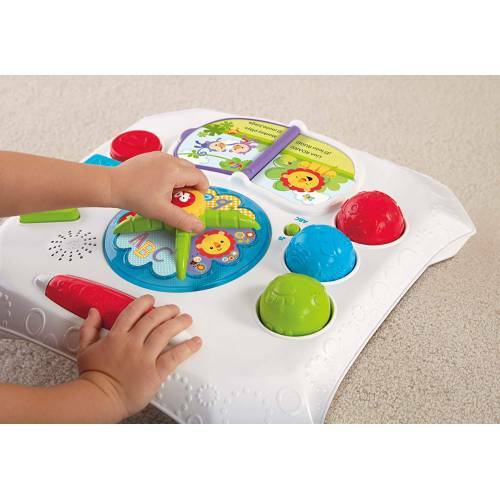 Baby can flip the book page to hear a story about animals, press the three shape buttons to hear about shapes, colors and numbers, or twist the spinner to activate lights, music, animal sounds and the ABC song! 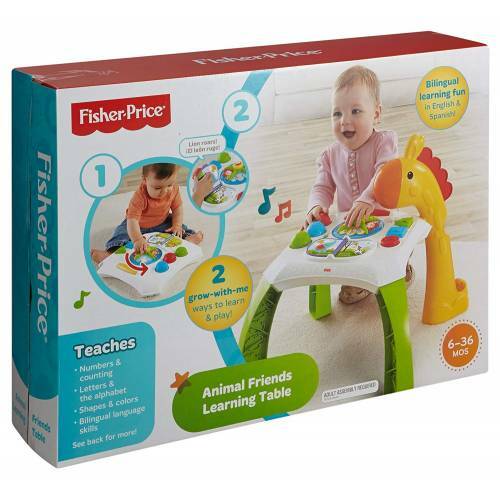 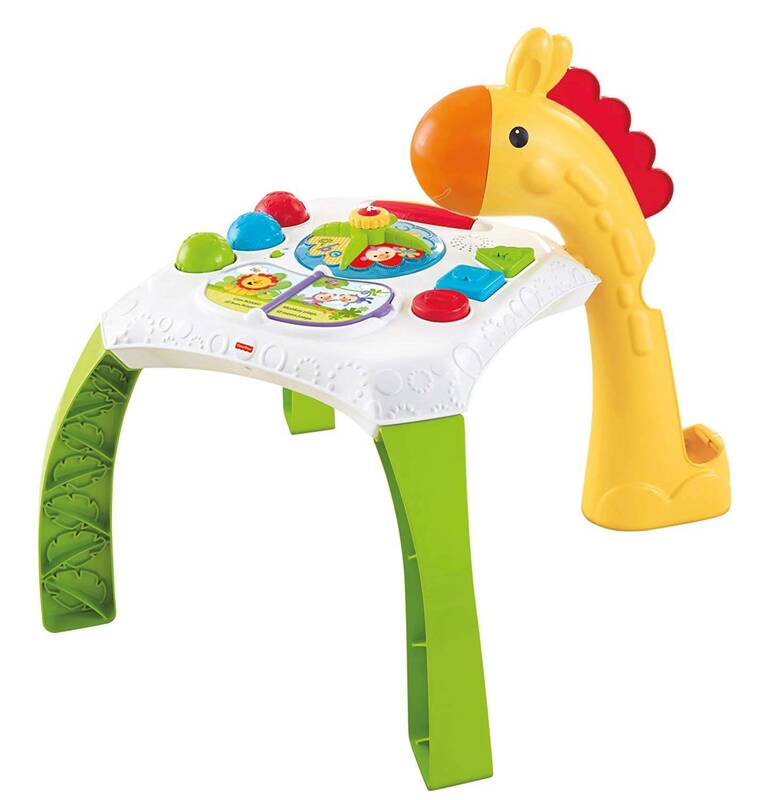 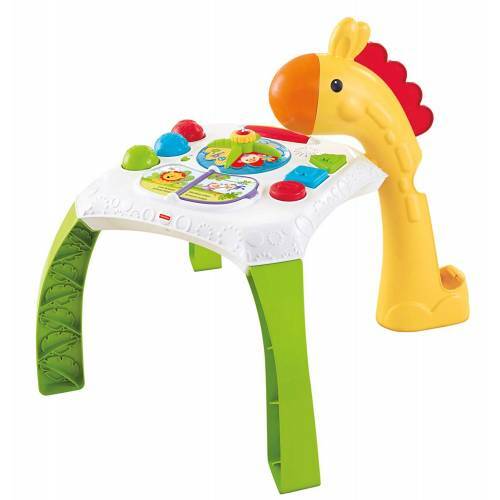 When baby is ready to stand and cruise, it's easy to attach the four sturdy table legs to elevate fun and learning to the treetops with the same hands-on fun on the table-top, plus a giraffe ball chute that adds crawl-and-chase rolling ball fun!